Valentines, it’s all about your eyes and lips this week. Save 25%! Ends Valentine’s Day at Midnight! 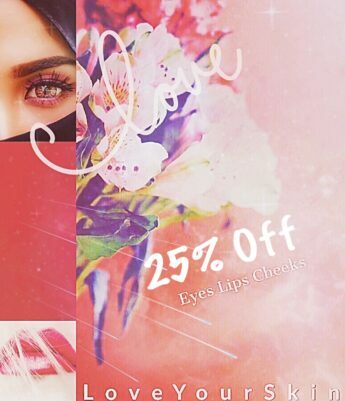 Save 25% when you use COUPON CODE EYESLIPS25 at checkout on our lip treatments and eye moisturizers. Included in the sale: Lip Remodeling Treatment, Fresh Pout Lip Balm for beautiful, soft lips. For eyes, (the windows of the soul), Lifting Eye Serum, Intensive Eye Therapy Creme, and Firming Peptide Eye Creme will help this delicate skincare area looks its very best. AND for an overall glow, take 15 minutes to get gorgeous with our rich, luxe Beauty Butter. Happy Valentine’s Week, Glow Girls and Boys!